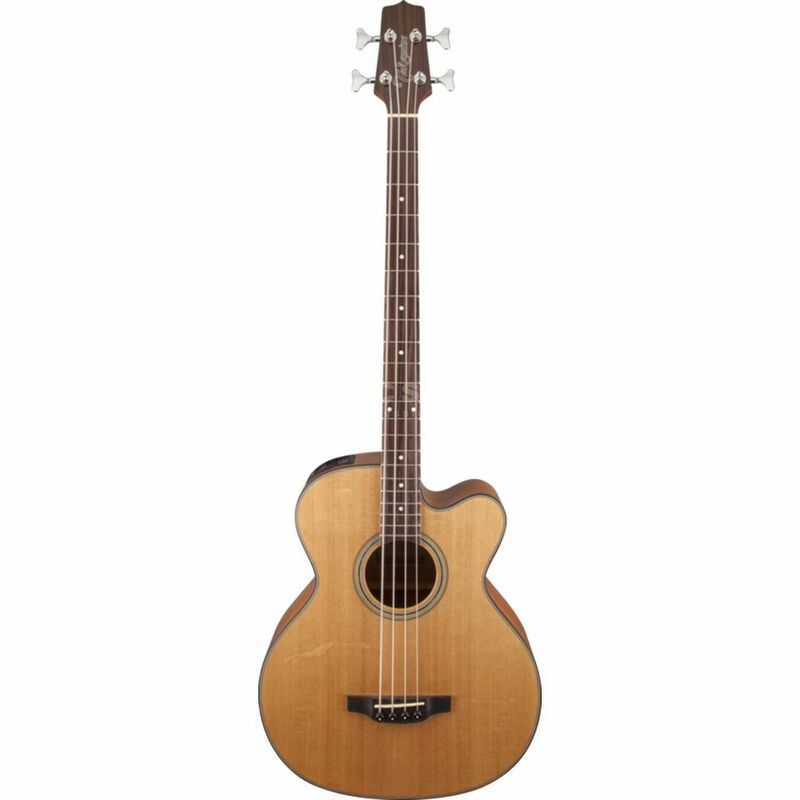 The Takamine GB30CE-NAT 4-string electro acoustic bass guitar in Natural is a stage-worthy instrument that brings the acclaimed style and build of Takamine acoustics to the lower register of a bass guitar. The Takamine GB30CE features a solid Spruce top that is joined by Mahogany back and sides, a combination that produces a rich, resonant tone that sparkles across all frequencies. The body is accompanied by a slim Mahogany neck with a 16”-radius Rosewood fingerboard and pearl dot inlays, both of which provide amazing playability and feel. To complete the package, the Takamine GB30CE electro acoustic bass guitar is equipped with an own-brand TK-40B preamp system that features a built-in tuner, three-band EQ and gain control, bass boost, mid-shift control and EQ bypass switch. Together, these features combine to produce a system that provides both amazing versatility and sound quality.